At about 4 p.m., prison officials discovered that Victor Hurtado, 42, was missing. Hurtado is serving a 15-year sentence for distribution of methamphetamine. Authorities describe Hurtado as an Hispanic male with black hair and brown eyes. Hurtado is 5 feet 11 inches tall and he weighs 175 pounds. Prison officials have notified the United States Marshals Service and other law enforcement agencies about the escape. Authorities request that anyone who has information about Hurtado’s whereabouts contact law enforcement. At least seven inmates escaped from the Lompoc prison camp in 2016, at least four of whom walked away from the facility over the last four months of the year. It is unclear how many of the fugitives were apprehended. 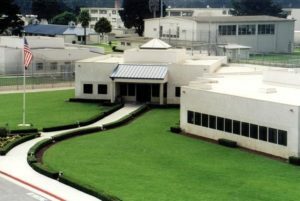 The minimum security facility, also known as a satellite camp, is adjacent to the medium security federal penitentiary in Lompoc. Because he slashed the unemployment rate, criminals like this one are better off committing another crime and heading back to the free room and board of this minimum security “Country Club”, than to get out and try to find a job.